Prepare a new rhubarb bed by tilling well and adding well composted manure. Dig a hole and plant the root division to the same depth as the original plant. Firm in well. Mulch with bark mulch or clean straw, to keep down weeds and conserve moisture. You can plant rhubarb plants 18 inches apart in a row with enough room between plants to allow you to walk between rows to weed. 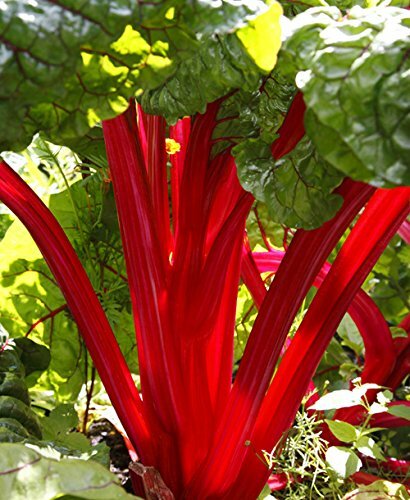 You can start harvesting rhubarb in the second season from planting. 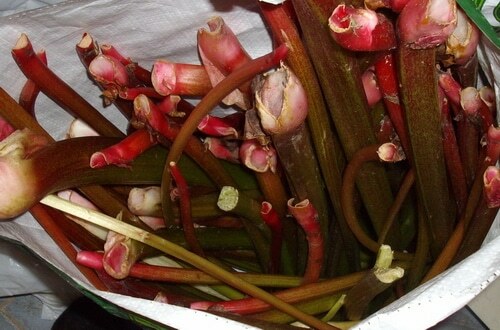 Around midsummer, or if the plants get water stressed, rhubarb plants will stop growing new stalks. The stalks will be thin and feel hollow. At this point, the stocks that the plant has will be needed to feed the root for next year’s harvest. Stop harvesting for the season. Mulch for the second time with well composted manure. Leave the plants for the season. When you harvest the stalks keep them from drying out and keep in refrigerator. Wash them right away. Cut off the tough part at the base of the stalk and the part where the leaf was attached. 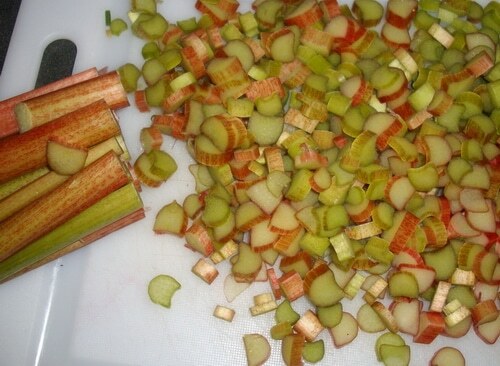 Cut in small pieces and cook rhubarb on low heat until soft and add sugar to taste. 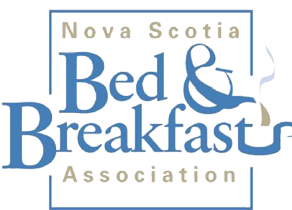 Join us in Stewiacke. Come and have some fun at the Ravenous for Rhubarb festival on June 8th – 10th. Bring your kids, your dog and hopefully your sun hat!